NISMO R35 GT-R. Just arriving to the US now. 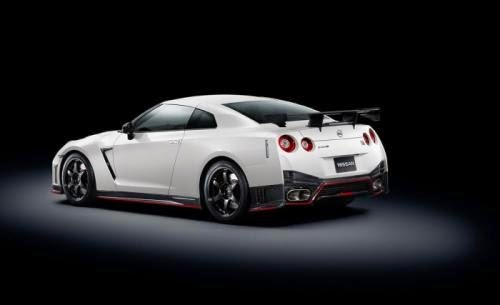 September 2014 saw a good month for the Nissan GT-R with 159 units sold, bringing the year to date total to 1018 units. That is a 109% increase vs September 2013. The all electric LEAF sales were strong with 2881 units, 21,882 year to date, up 35% vs 2013. Juke slipped big time, with a 34% decrease vs 2013, but Versa and Sentra both had bigger increases. The 370Z was down slightly for the month, still up 16% year to year. Check out the full chart below. NASHVILLE, Tenn. – Nissan Group today announced total U.S. sales for September 2014 of 102,955 units, an increase of 18.5 percent over the prior year and a September record. Nissan Division set a September record with 95,118 sales in the month, a year-over-year increase of 22.2 percent. This marks a monthly sales record for Nissan in 18 of the last 19 months. Rogue sales remained brisk, setting a September record at 17,229, an increase of 51.8 percent. Nissan LEAF set a September record with 2,881 sales, an increase of 47.5 percent. Versa subcompact sales increased 37.6 percent to 12,072, also setting a September record. Sentra sales totaled 12,557 in September, up 61 percent. Altima finished with 21,675 sales in the month, an increase of 2.1 percent. Sales of the Frontier pickup increased 47 percent to 6,853. Murano crossover sales were up 50.4 percent as the company prepares for the launch of the all-new 2015 model, which goes into production late this month at Nissan’s Canton, Mississippi assembly plant. NOTE: To ensure consistency in global sales reporting, Nissan calculates monthly variances on a straight-percentage basis, unadjusted for the number of selling days. September 2014 had 24 selling days, while September 2013 had 23 selling days.